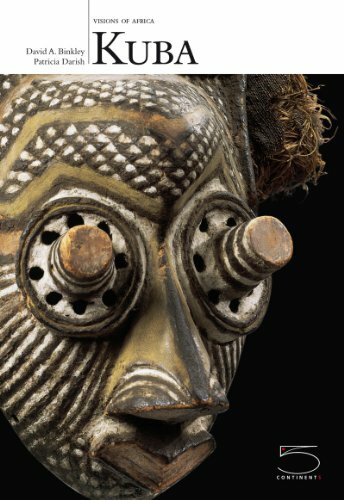 The latest volume in the Visions of Africa series explores the intriguing sculpture and decorative art of the Kuba people of the Democratic Republic of Congo. Best known for their king figures (ndop), considered among the greatest sculptural achievements of Sub-Saharan Africa, the Kuba actually produced little freestanding sculpture. Instead, they focused on a variety of decorative works that indicated success and achievement, and initiation-related pieces such as masks. The first book on this subject, Kuba examines the tribe's artistic development, from the 17th century through the turbulent colonial and post-colonial periods. The authors also explore the impact of Kuba beliefs on their art and discuss the pervasive concerns that inform the tribe's art-making. With fifty beautifully reproduced examples and an engaging, informative text, Kuba is a fascinating introduction to African art.